Now with BLACK POWDER COATED frame and re-designed SAFETY NETTING. A fanastic 14ft Trampoline Package that can be built in 1 hour. 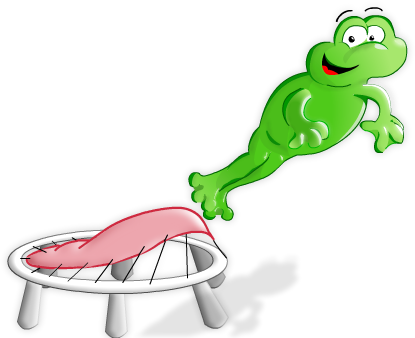 Telstar have been developing trampolines for the garden with performancem, style and safety in mind, this latest model to come off of the Telstar production line is sure to not disapoint. EXCLUSIVE DESIGN - The safety enclosure has been designed with the ulitmate in safety at the forefont of minds. 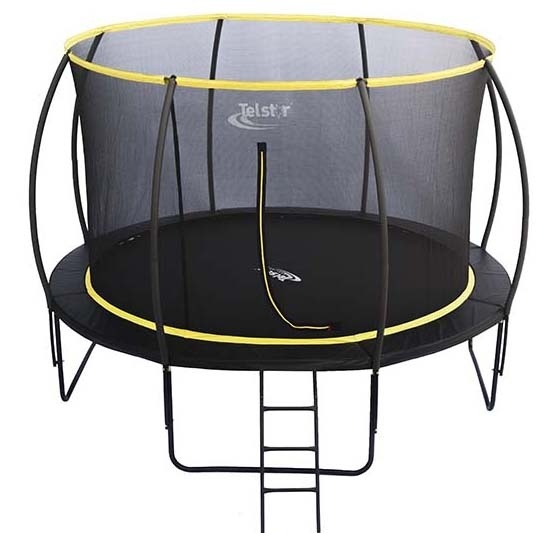 The enclosure net comes supplied already attached to the bounce mat, not only does this mean building the trampoline is quick and easy, there is no chance of the user having access to the springs as the bouncing area becomes completely enclosed. The top of the safety net is has been made secure and rigid by Telstar's Fibre Glass Rod System. STYLING - The JET BLACK padding and ALL BLACK powder coated ladder with the bold yellow finish the Orbit off superbly.